Blogging a little at a time! : Wed Freebie!! I promised a Freebie and here it is!! Thank you for these beautiful papers! Thanks for the old papers. 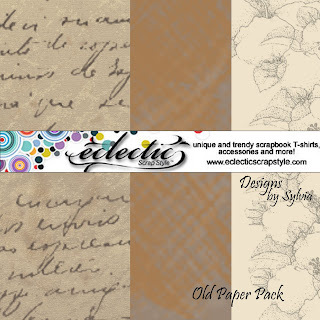 I am doing vintage scrapping and they will come in very handy. Great work Sylvia -- I love them! These will look great with the pictures from my parents & grandparents. Pretty papers, thanks for sharing.